For IT technicians or business professionals who need to check files or test different drives, the dock lets you hot-swap your drives in and out as needed. 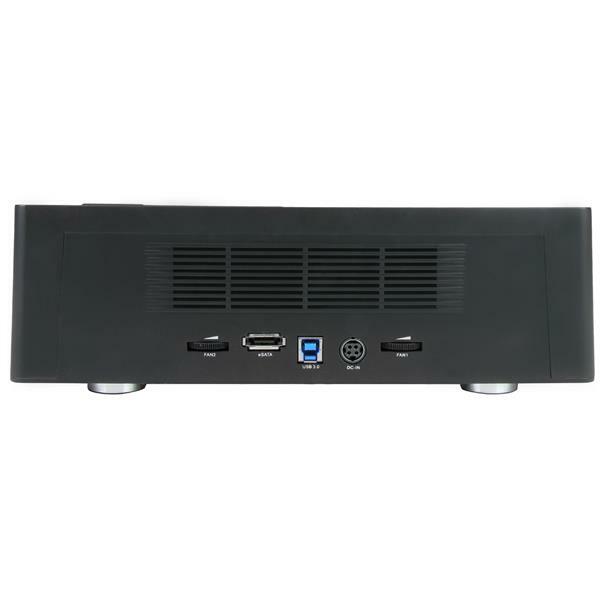 Its top-loading, toaster-style design with drive ejection buttons make the dock easy to use while two silent cooling fans help to dissipate heat to maintain an optimum operating temperature. 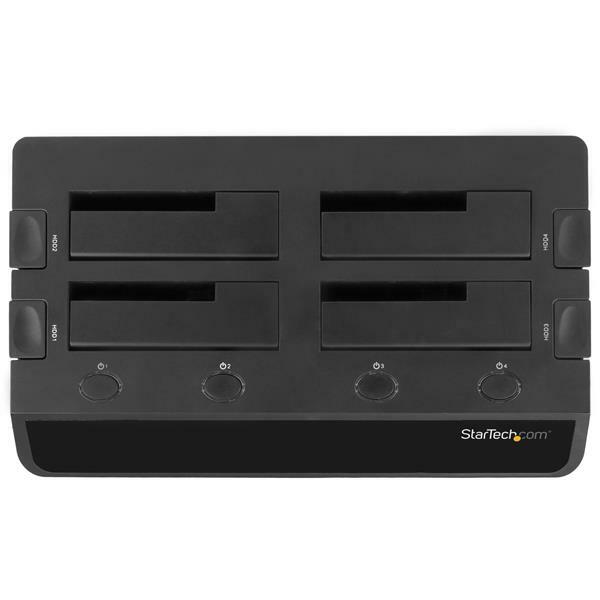 With support for SATA I, II and III high-capacity drives (tested up to 6TB), this docking station is compatible with virtually any 2.5” and 3.5” SATA SSD or HDD drive. The quad-bay dock is OS independent, which ensures a quick and easy setup. 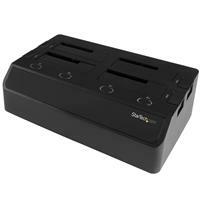 It also features a compact design and small footprint that makes it easy to tuck into your workspace. 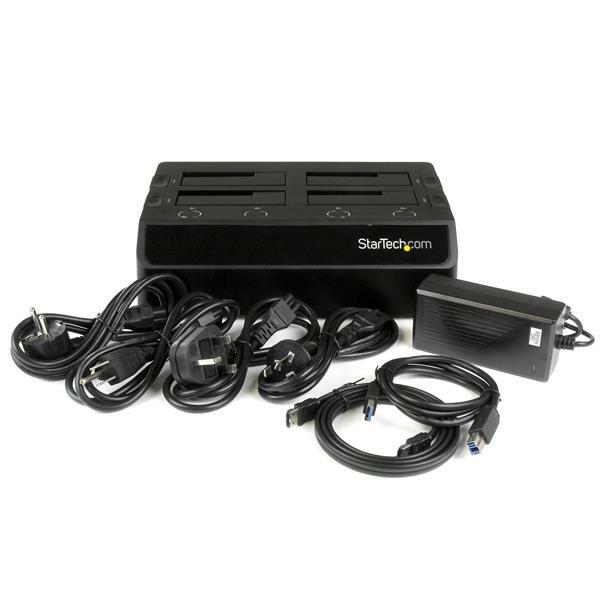 The SDOCK4U33E is backed by a StarTech.com 2-year warranty and free lifetime technical support.